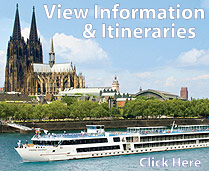 Viking River Cruises - Just Cruises Inc. Imagine riding an elephant to a hilltop fort in Jaipur, India. 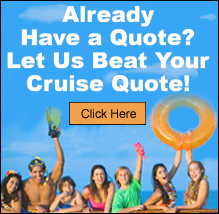 Viking brings you a more authentic, engaging view of the world. That means you will travel in small groups and enjoy culturally rich experiences at each stage of your journey. You will visit places travelers have dreamed of for millennia: diverse destinations like Africa, India, Antarctica, the Galapagos, the Norwegian coast, Egypt, Australia and beyond. And even in the most exotic locales, you will enjoy the Western-style comfort and sense of security Viking Tours provide. 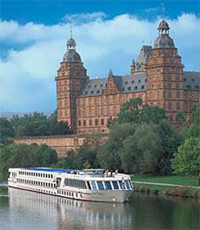 With Viking Tours, you will go beyond the typical itinerary. Of course you will see the great attractions, dine in fine restaurants and stay in world-class hotels. You will visit museums and opera houses, as well as schools and villages where children play and crafts people work. You will meet the people and delve deeper into the culture of each place. Viking chooses the most stunning, distinctive hotels, lodges, ships and other accommodations that complement your experiences of the cultures you encounter. Imagine going to sleep amid the regal elegance of a palace in India where a symphony of white marble and moonlight lulls you to sleep. Or waking up to the exotic sounds of the savannah in a luxurious colonial-style tented game camp in East Africa overlooking the majestic plains of Serengeti National Park. Food and its customs say as much about a place as anything. There is nothing like a home-cooked meal-wherever home may be. Imagine being invited into the home of a former Indian general and his family, enjoying a home-cooked meal while you discuss Indian culture and history. Or to have dinner at the home of a family in Cape Town, South Africa or Nairobi, Kenya. A celebration in the flavors and customs of the world. Many of the most interesting places in the world are associated with specific food and drink, or special customs and celebrations related to dining. And your journey highlights the best of these. A barbecue dinner in the Australia Outback with Aboriginal hosts, for example, or an Estancia de la Fortuna barbecue lunch in Buenos Aires. Wherever you may be, Viking believes that every taste will enhance your appreciation of these faraway lands.